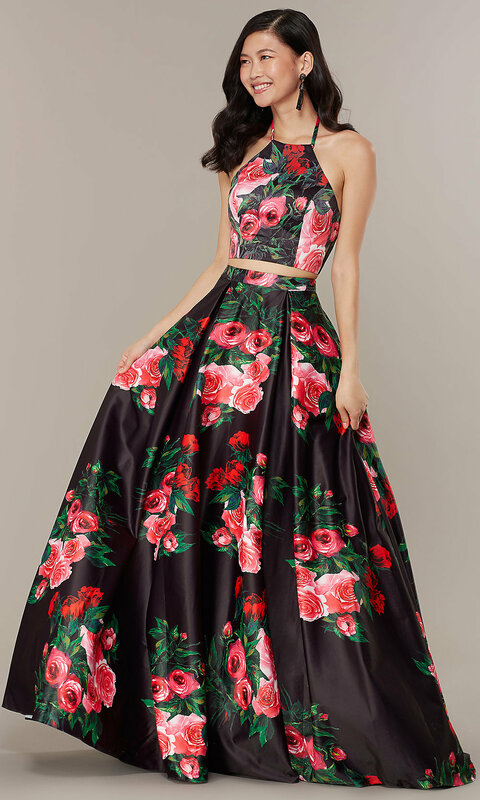 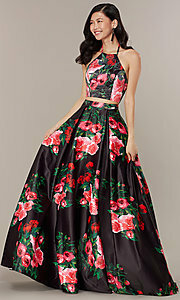 With a stunning floral print, this JVNX by Jovani long two-piece prom dress, sold exclusively at PromGirl, is sure to wow a crowd at any formal event. 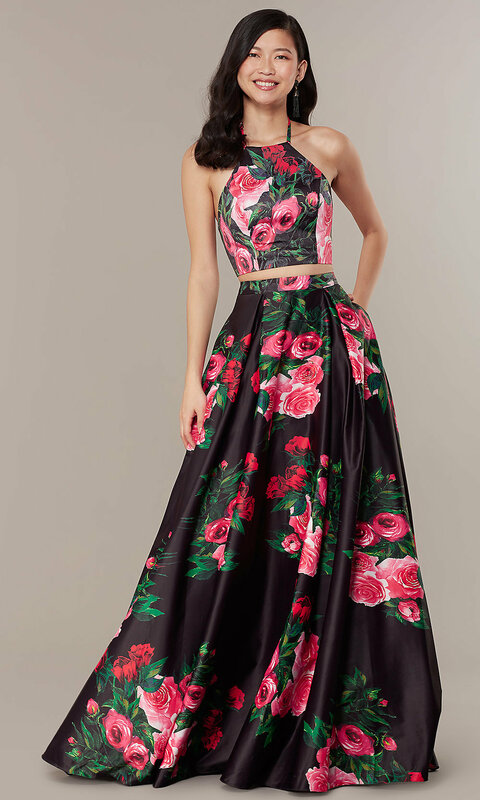 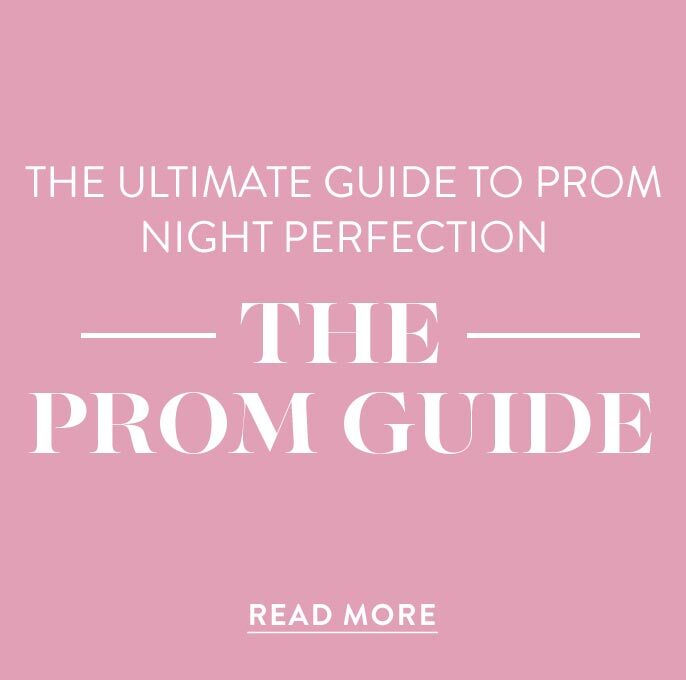 The showstopping designer prom dress is made from shining black satin with popping pink flowers. 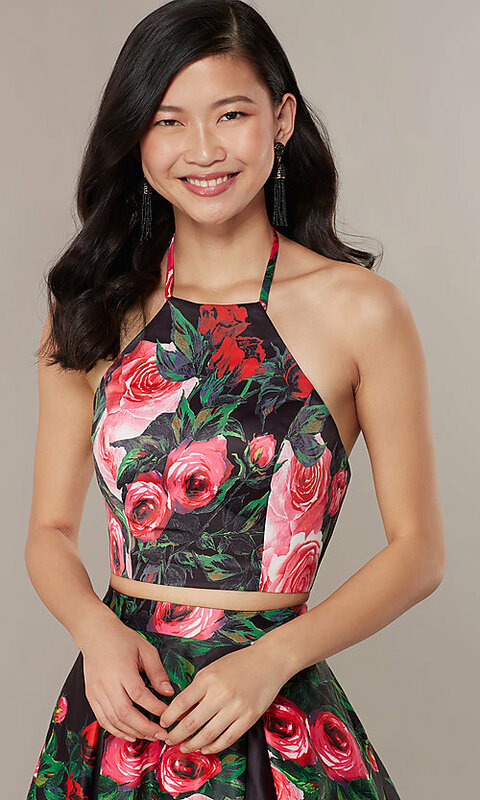 Adding to the bold look, the exciting floral-print crop top has a squared racer front with a high neckline, as well as a daring open back. 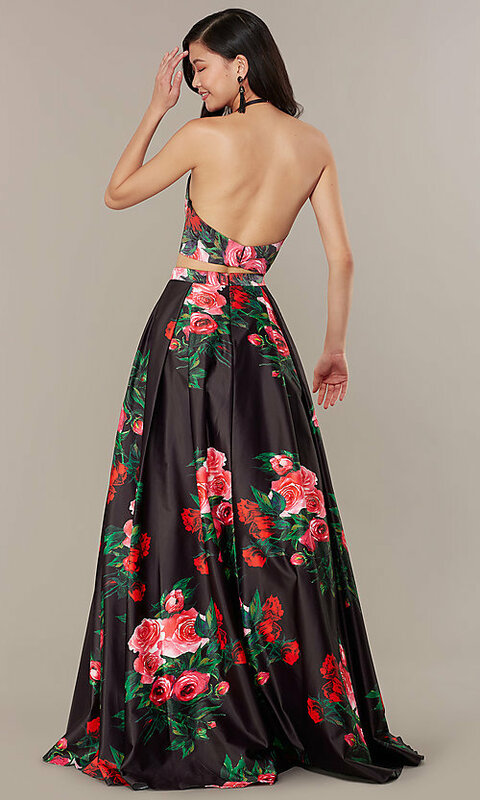 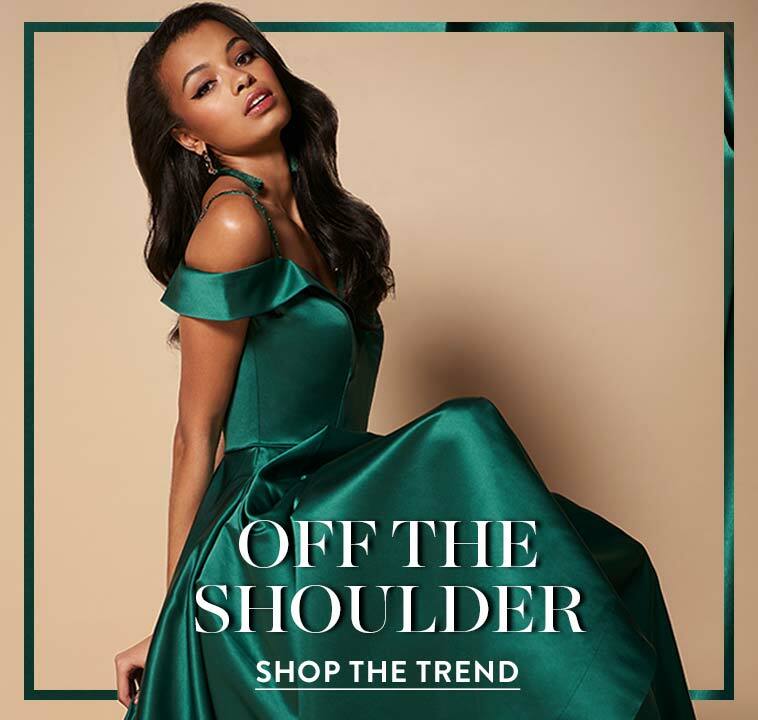 The natural waist is revealed under the fitted top to add to the a-line shape with flirty appeal, and the voluminous matching skirt completes the design. 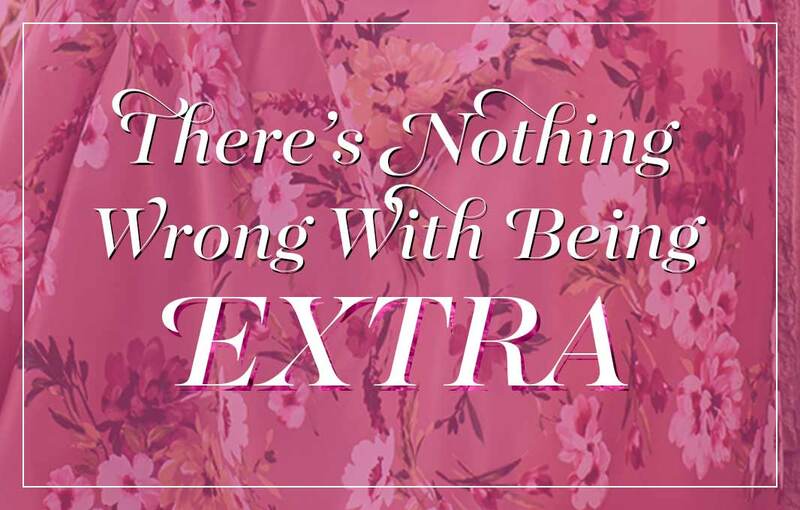 As an added perk, the long sweeping skirt has pockets at the sides for stashing little necessities during the night. 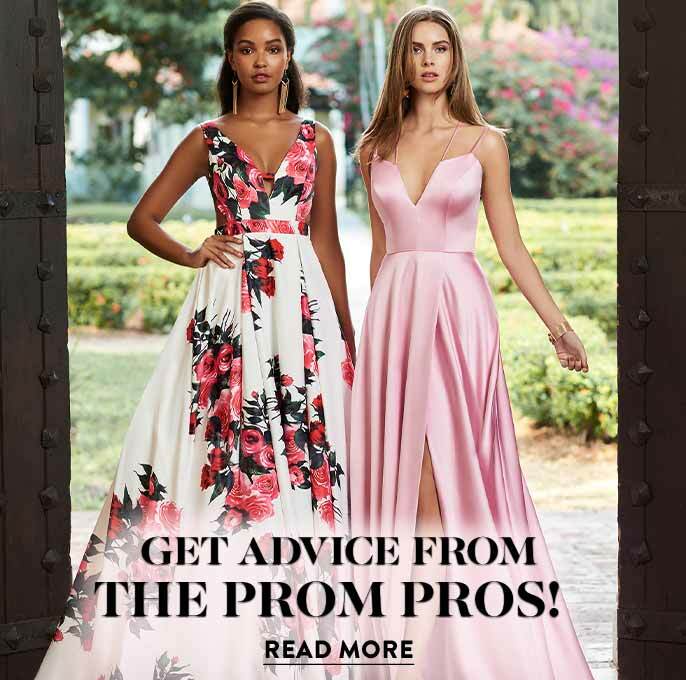 This long two-piece prom dress from JVNX by Jovani is a gorgeous option for proms, spring formals, galas, and more.